Its not about the fruit, rather a theory that uses the analogy of lemons in a slot machine to illustrate the process by which accidents can occur in the outdoors. 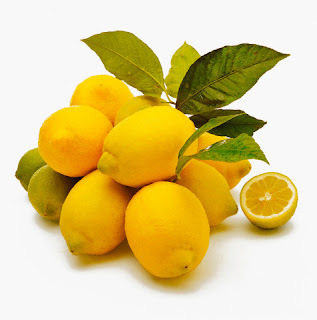 However, unlike winning on the slot machine when all the lemons line up, in this analogy when you get 'all in a row', it reflects the opposite…. you lose big time! (Haddock, 1993). In the outdoors, accidents are rarely caused by a single catastrophic event, a 'chain reaction' or 'domino effect'. Rather accidents are often the results of decisions and events combining together that add up to create sufficient potential to precipitate an accident. What this means is that while an individual situation may well have low consequences when it occurs by itself, the accumulative effect of several factors leads to an accident of high consequences. A lemon then is any factor that could lead to an accident given the presence of other contributory factors, that is more lemons (Crossland, Salisbury & Baillie, 2009). Look upon it this way. 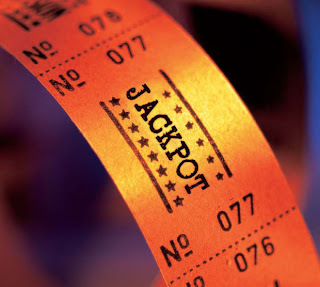 Every time a group ventures outdoors, they are putting a token into the slot and pulling down the handle of an 'Outdoor Disaster Jackpot Machine'. Each time a casual factor such as not bringing sufficient warm clothing is overlooked, up pops a lemon in one of the windows of the machine. As more and more factors go 'unspotted', more lemons appear. The process continues until either the activity is finished or there are enough lemons to hit the disaster jackpot! (Raffan, 1984). The one guy who really knows the route, Kelvin, has a flu on the morning of departure and did not turn up but the group decided to carry on as Paul, sort of know the way – Up pops 1 lemon. Many people did not have adequate warm clothing and waterproofs – Up pops another lemon, that makes 2. Bad weather signs were ignored – Another lemon pops up, making it now 3 lemons in total. The group left the main track to take a 'short-cut' of which Paul wasn’t really sure of, which looked like a path – Up pops another lemon, which makes it 4. The group gets a whole row of lemons; they got lost and the rain is pouring and some of the group members get seriously ill due to the cold.......jackpot! a) unavoidable and bound to happen (bearing in mind the nature of the outdoors), e.g - trips and slips; a novice participant getting distracted. b) avoidable and unnecessary, e.g inappropriate instruction or misuse of equipment. c) rare and unusual, e.g equipment malfunction; sudden medical emergency. Remember, spotting lemons is a simple and easy way of enhancing safety in the outdoors. Keep the lemons from occurring too often during the activity and you will have made the experience for the participants a safer one. I have a friend that teaches risk management using a red, yellow and green light theory. Greens no problem, a couple yellow risks and you might want to think about managing them down. Red, time to shut down the exercise. It's helpful for people (like my mother) who start to look at all the potential risks and decide to stay at home instead. Good to notice them but to figure out what are high and low risks. Nicely put! Just one other point about consequences. You might choose to run a class III rapid when there is a calm pool of water at the bottom. However, if that pool is instead a waterfall, you might change your mind. Same set of rapids- different set of consequences if something goes wrong.